The more social media we have, the more we think we're connecting, yet we really are disconnecting from one another. Recently, our generation has become obsessed with social media. As a result, we have lost real communication amongst peers. Our youth's mental health will be negatively impacted and have devastating effects in the future. Teenagers obsess about getting a certain number of likes on a social media post or having the most followers. I know plenty of people who have deleted a social media post because they did not receive "enough" likes even though their post [EWXIVVM½G%WLYQERW[IGSRWXERXP] compare ourselves to others. For instance, a classmate posts a picture at the same time.You both have the same amount of followers, but as time goes on, you see that she's getting way more likes than you. Is it because she is more popular? Prettier? Cooler? Who knows, but it makes you feel bad about yourself, increases your MRWIGYVMXMIWERHPS[IVW]SYVWIPJGSR½HIRGI questioning the belief that you are enough. Across the World One thing that touched me was when Or described how basketball allowed her to form relationships with girls she would never have been friends with if they didn’t TPE]XSKIXLIV;LMPIQ]WMXYEXMSRMWRS[LIVIRIEVEWHMJ½GYPXSVMRXIRWIXLIKMVPWSRQ] basketball team are from all different schools and live in all different neighborhoods. It is unlikely that we would have crossed paths if it weren’t for basketball. We have differences, but what brought us together is our love for the game, and we have not only became great teammates but also best friends. Or has experienced the same thing with her team. In the Middle East, it is rare for Arabs and Israelis to have any sort of a relationship, so it seems like they have nothing in common. While all of the girls live in different places, speak a different language, and have different values, they are able to come together through the power of basketball. 3VFIPMIZIWXLEXFEWOIXFEPPGERFIE[E]XSVIWSPZIGSR¾MGXERHFVIEOFEVVMIVW %QEMRVIEWSRJSVGSR¾MGXEVSYRHXLI[SVPHMWTISTPIRSXFIMRKEFPIXSGSQQYRMGEXI effectively. When adequate communication is lacking, it is hard to successfully state opinions without others feeling attacked or defensive. This causes arguments between people with different views. Even though the girls who are a part of Peace Players have HMJJIVIRXZMI[WSRXLIGSR¾MGXFIX[IIRXLI%VEFWERHXLI-WVEIPMWXLI]½RHE[E]XS communicate and work together for a common cause: winning. While a language barrier would seem like an impossible hurdle to overcome, the girls on Peace Players don't use it as an excuse. The takeaway that I gained from Peace Players and my friendship with Or Mor Yosef is that sports can be a powerful agent for change. Basketball is much more than a ball and a net; it is a movement. It can bring people together, build new relationships, break boundaries, and more. The court is the greatest classroom on earth. It teaches people how to successfully interact with others, how to overcome adversity, how to bring people together, and how to be a leader. These skills can’t always be taught in school. It is my hope that one day we can get every girl to be able to play a on team so that they can grow to be open-minded and inspired leaders that will tackle the world's biggest challenges. A Different Relationship I’m sure the vast majority of the people reading this article either use Instagram, Snapchat, Twitter, or even Facebook, all of which I have never used. Considering this, I may not be able to connect as closely or to as many people without these platforms. However, I don’t enjoy posting things based around myself as much I like simply contributing to or partaking in the community that is the internet. Here are several reasons as to why I ignore mainstream social media platforms in favor of the wider Internet. I use other platforms, less based around personal communication and more around entertainment. I’ve watched months worth of YouTube videos and am a proud Imgurian. I’ll also delight in Reddit occasionally, though I don’t post at all there. These platforms are more based around a sense of community and exist to instill modern creativity through the creation of videos, music, and memes. Unlike more personal posts on other platforms, it isn’t really about self and no one necessarily owns anything within these spaces. Content belongs to the community. Thus everyone takes artistic liberties. The Internet can be a very creative place, one that allows you to do almost whatever you can possibly imagine, and it's one of the only places in the world where you can get honest feedback and opinions. Of course, this isn't always true because anything goes there, but it’s worth taking such a risk. Who knows? Maybe you’ll discover something you never knew about yourself. I also choose to avoid social media because I simply don’t have enough time to make posts about my day to day life that some people might consider interesting. And with all of my internet browsing, gaming and of course school, unfortunately, I barely have time to write or focus on what I want as my future career. With the Internet During the summers I attend a summer camp in northern New Hampshire that prohibits use of any technology whatsoever. For some, this would be devastating, we can't keep up with friends as quickly as with social media and instead have to send letters that would take several days or even weeks to reach their destination. But I can do without it all for seven weeks with a short break in the middle. At camp, we have a sense of community that actually is very familiar to the Internet despite being secluded in the mountains. We come from all over the world, but we all also come from a digital age dominated by internet culture. Seven weeks… a lot can happen in that amount of time, but as long as the world doesn’t fall into an apocalyptic state while I’m away and I can’t know about it, I’ll be fine. I enjoy the company of creative people who share similar interests and have empathy for each other. Through our online culture, we connect with and understand each other in a completely original way, one that the human race has never experienced before. Indirectly, we can learn more about a person than having a simple conversation with them or following their daily lives. The art of creating something that holds a deeper, more subtle personal meaning is different than your average posts that are directly personal. Because of this, we can all relate to each other through memes, videos, stories and so on. The internet is unorganized. It is infinite. It is a complex interconnected system that promotes creativity and empathy for fellow creators no matter who they are. Expert Interviews on Social Emma Bookoff '19 This year, in the Humanities and Global Studies Capstone, I have focused on social media and its mental health effects. 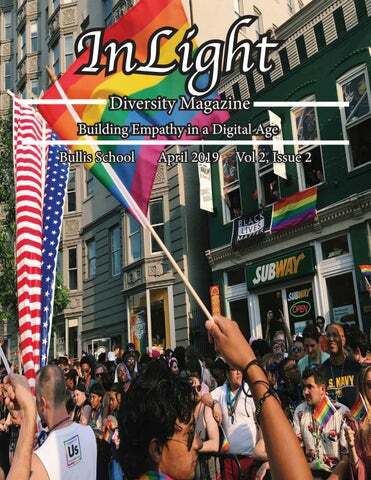 This issue piqued my interest because of how relatable the topic is for my generation. Almost every teen uses social media and we all have little to no guidance because it is a new phenomenon. I have been trying to solve this problem through extensive research, presentations, and discussion groups. I want students to realize that their social media pages do not represent their self-worth and that posts never go away once they are put on the internet. To gain further insight into social media’s mental health effects I interviewed two local professionals who work with teens and manage mental health. Dr. Dana Kornfeld is a local pediatrician who specializes in adolescents and helping them navigate emotional and physical issues and Ms. Joy Cohen is a therapist who works with teens in the area and studies modern-day effects on mental health. I asked four basic questions on how social media has affected teens in their practices and how to manage the negative effects.  -½VWXEWOIHMJ(V/SVRJIPHERH1W'SLIRLEZIWIIREVMWIMRXLIVEXISJER\MIX] and depression amongst teens since the advent of social media. Both Dr. Kornfeld and Ms. Cohen explained that they have both seen a rise in anxiety in their practices since the advent of social media. They have seen that teens are having self-esteem issues and problems FIMRKEFPIXSHMWGSRRIGXERH½RHWIPJ[SVXL1W'SLIREHHIHXLEXWSGMEPQIHMEMWXVEMRMRK SYVFVEMRWMREWMQMPEV[E]XLEX4EZPSZGSRHMXMSRIHLMWHSKW;LIRIZIV[IKIXERSXM½GEtion, we have an innate, positive, learned reaction to it. Next, I asked the professionals what, if anything, can parents do to help their children deal with the pressures of social media. The main overarching theme that both Dr. Kornfeld and Ms. Cohen discussed was limiting access to social media and screens. Dr. Kornfeld discussed how both teens and PARENTS should put down their phones during bonding times. By putting down the phone, parents and kids can spend quality time together which increases happiness. I also asked Ms. Cohen how parents can console their children when they are distressed about social media. She said it is very important that teens and their parents have open communication on social media. Without that, kids can further spiral into depression. I asked, what are signs and symptoms that parents and friends should look for to determine if social media is having a negative effect? Both Dr. Kornfeld and Ms. Cohen said that parents and friends should watch out for symptoms such as isolation, mood changes, and withdrawal as signs of addiction/negative effects. Dr. Kornfeld said that another sign is that if a teen has stopping participating in hobbies that made them happy and is spending all their time SRXLIMVTLSRI1W'SLIRÂ´WVIHÂžEKSJ social media addiction is when a teen or adult says that they/their child has spent the whole weekend sitting on their phone. Finally, I asked what can an individual do to practice healthier social media habits. Dr. Kornfeld and Ms. Cohen said it is OK to use cellphones, but it is important to put down the phone at appropriate times to create a happier healthier lifestyle. Dr. Kornfeld encourages that â&#x20AC;&#x153;When you are with people, be with those people, shut your phone off." Ms. Cohen said to use social media during times to connect online with friends but put it down any other time. Parents also must educate their kids on permanency and self-worth, two major issues surrounding teens on social media today. Linking Lives How do you contact your friends from another school, country, or even continent? The Internet has so many great uses and many resources. However, I believe that one of its greatest uses is to communicate with others you do not see on a regular basis. My best friend lives twenty minutes away from me. With our busy lives, we are not able to meet up every weekend and spend time together. With access to the Internet just at our fingertips, we are able to talk every day and stay friends. In fourth grade, I left my school and my friends to begin my adventure at Bullis. 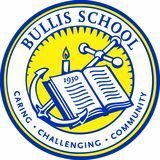 I was so anxious to move to a brand new school with nobody I knew, but in the first week I was here, I found Bullis to be a very welcoming school and I made friends very quickly. However, I did not forget about my close friends that I left in elementary school. I began to use iMessage and FaceTime more often and more effectively. Every day we would FaceTime throughout our afternoons and play video games together. Although the creation of social media can be harmful in many ways, it has served me such a great purpose. I’ve been able to keep in touch with my best friend in a way that has kept us close for six years. Social media is also a way for international people to connect and talk without actually meeting up. Even though I personally prefer meeting up somewhere in person, I don’t always have time to. My parents may be out at meetings or they simply do not have the time to drive me somewhere. So, I end up spending an average of 30 minutes to an hour a day talking with my best friend. When it comes to international relationships, having Instagram, Snapchat, Line, and Discord on my phone have given me the ability to contact my friends in Taiwan. Even though we are in different time zones, I am still able to message my friends at any time I want to, using our social media platforms. Besides my friends, my grandpa also lives in Taiwan. I video chat with him once every month with my mom to keep in touch with him! I hope that more people take advantage of using social media in this way. Although there are many negative impacts of using social media, there are many ways of using it in a positive way. Keeping in touch with friends, business matters, and family chats across the globe will benefit anyone’s life. Capturing the Positive Developing from the Negative Ava Caceres '19 To those who know my television watching history, it comes as no surprise that I love the show Doctor Who. Combining the elements of time-andspace travel, lighthearted comedy coupled with dramatic undertones, and a touch of ^ERMRIWWXLI&VMXMWLWGMIRGI½GXMSRTVSKVEQ checks off all of my boxes for a show worth a watch. But very few would know that Doctor Who ended up inspiring me to jump out of my comfort zone. 8LI½VWXTLSXS-IHMXIHXSFILSRIWX[EW awful. People say “practice makes perfect.” 8LI]EVIR´XOMHHMRK½VWXEXXIQTXWGERFI truly horrendous. I’m not ashamed of it, but let’s just say, I hope that oversaturated vignetted photo of Donna Noble doesn’t end up resurfacing any time soon. Needless to say, I didn’t win any of the competitions with that picture, but I couldn’t help but feel a creative bug emerge. I started creating more photos, taking note of what went wrong with my pictures When I was sixteen, I joined a and what worked with the professional Doctor Who fan page that shared clips look-alikes that I saw. Sometimes I would JVSQXLI8:WLS[JEREVXERHJER½GXMSR collaborate with other participants and At the time, I was looking for a place to our visions would clash, but I would end up IRNS]QIQIWERH½RHWTSMPIVWJSVXLI seeing from a different point-of-view of how new episodes. For no other show would my imagination could end up blossoming. I even dare look for a spoiler (I mean I I started experimenting with apps like could accidentally end up ruining a good PicsArt, Polarr, and Photoshop. There came plotline for myself! ), but for Doctor Who, a point where I would hold the contests, -[EWEP[E]WWSGYVMSYWXS½RHSYX[LEX since members of the community would the companions would be doing or what tell me that they enjoyed my song lyric time period they were in this time around. inspiration idea and other creative themes. ;LEX-HMHR´XI\TIGXXS½RH[IVITLSXS Although I don’t partake in those editing contests, where members of the Doctor Who editing contests anymore, I community would participate just for fun as WXMPP½RHXLSWITLSXSEREP]XMGEPWOMPPWGSQMRK a way to be creative and experiment with to use today in my photography and my RI[QIHMYQW%PXLSYKL-[EWE[VMXIV½VWX presentations in school. Without being part and foremost, I was always intrigued by art, of that supportive community, I wouldn’t and photo editing took less patience for have had the creative passion with viewing me than painting would. and creating digital art that I have today.